Offering you a complete choice of products which include conveyor belt, food conveyor belt, stainless steel wire mesh conveyor belt, honey comb conveyor belt, wire mesh belt and wire mesh conveyor belt. 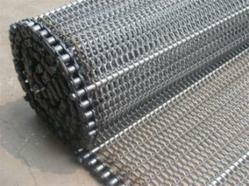 Our clients can avail from us a qualitative range of Conveyor Belts. 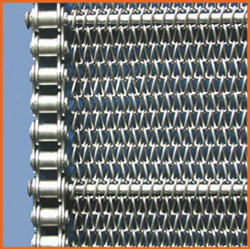 Our Stainless Steel wire mesh conveyor belts are used worldwide in industries such as heat treating, forging, foundries, food processing, snack food, baking, dairy, ceramic, glass, automotive, bottling plant, engineering industry , fasteners and more. Our metal conveyor belt are used in application at temperature between -50° C to 1150° C. Our SS wire mesh conveyor belt is available in any size, in patterns for any process We have stainless steel grades ranging SS202 wiremesh conveyor belt, SS304, SS304L, SS316, SS316L, SS310, SS314, . They can operate at low to high temperature; withstand acid, alkaline, chemical corrosion, abrasion and impact. We are leading manufacturer of Honey Comb Conveyor belt The extensive range of Honeycomb Conveyor Belts are used in the application such as food processing, freezing, baking, drying, painting, cleaning, transferring as well as parts washing. These Honey comb conveyor belt provide an open mesh for easy flow of air, or gases through the belts and have been appreciated all over the globe. 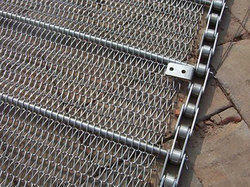 We are one of the renowned and reliable manufacturers, supplier, stockist and exporter of Wire Mesh Conveyer Belt in Mumbai, India. We present a reliable and economical material handling solution with an extensive range of Conveyor Belt. We have a variety of conveying belts specifically made for the most demanding applications of industry like cement, ceramics, food processing, mining, petrochemical, chemical, metal working and many other industries. Available in different weaving patterns, wire diameters, mesh opening, pitches and dimensions, these are abrasion and wear resistant. 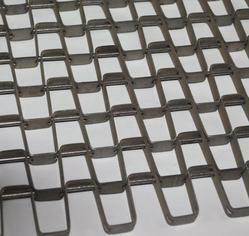 We have belts for normal speed and high speed conveyors. Some of the belts are specially made for food processing industry where high level of hygiene is paramount and this condition is fulfilled by its large open area and easy cleanability. 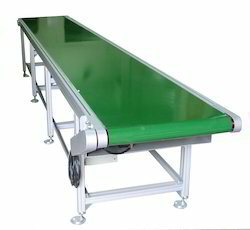 Looking for Conveyor Belt ?